Is the 2012 London Olympics a flawed and corrupt but ultimately heartwarming celebration of athletic achievement and a sign of peace and cooperation among nations? Or is it a sinister occult ritual undertaken by the British Royal family and the Illuminati to summon ancient demons and secure their power over the mindless masses? The peaceful celebration, definitely. But that hasn't stopped the internet from doing what it does best: making weird YouTube videos and posting to conspiracy theory message boards. Behold, the best of the internet's Olympic conspiracy theories. 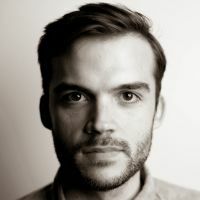 "['Undercover journalist' Lee] Hazledean also revealed how the large contingent of soldiers being brought into London for the Olympic Games included "a lot of UN troops being posted in and around London," including American and German troops. [...] He also related how one of the leaders told him that an event after the Olympics would be a 'defining moment' for London but when pressed, refused to divulge what she meant." "The 'Illuminati' card game by Steve Jackson in 1995 reveals a lot of information to us. In the pack of 330 cards, there is one main one that stands out from the rest. That is the "Combined Disasters" card which shows a lot of smoke with a crowd running. The five main individuals in the crowd are wearing clothes with all the colors of the Olympic rings in them. Big Ben is shown as being blown up and toppled." "Despite public pressure, the International Olympic Committee stood fast on keeping the logo, with no flexibility. In other words, this particular logo was very important. Why? [...] On first glance you can easily make out the numbers 2012, but why the random 'dot'? Here's why: [rearranged, the logo spells "ZiON," sorta] Are we to believe that the London 2012 Olympics are going to facilitate the implementationof Zion - the 'New Jerusalem'?" "Take a look at the Olympic site... take a closer look at the road names. You will find that the entire site of the Olympic Village is surrounded by somewhat biblical and mystical road names. The New Jerusalem you ask? [...] Notice how the East Cross Route is also an A road — numbered A12. [...] Pause for a second and think about the shape of the letter A... yes it's a pyramid with a capstone. So symbolically the only major road which 'crosses' the Olympic site, is the A(Pyramid) (20)12." "If you were paying attention last night, you would have recognised that the Olympic Stadium floodlights are, in fact, depictions of the All-Seeing Eye (as indeed are the Olympic mascots). And of course, if you count them…there are 13!! The ceremony itself in large parts was a narrative on the development of modern human history [...] all overseen by the 13 All-Seeing Eyes, representing the 13 ruling bloodliness of the Illuminati. In other words, they were telling us that they have been the controlling force behind the development of our history." "Wenlock and Mandeville, the 2012 Olympic mascots, are bizarre animations supposedly depicting two drops of steel from a steelworks. [...] As you look at the Teletubbies inspired creature, your attention is immediately drawn to the whimsical representation of the All-Seeing Eye. The eye is crowned with what appears to be the capstone of the unfinished pyramid indicating ascension complete. Within the capstone is the letter 'W' which could very well represent the word 'World.'" ...to crown Prince William in an occult ritual blood sacrifice connected to the Aurora shootings. Re: Is Prince William the Antichrist? (London Olympics about to start right after his 30th bday) Yes he is. He has connections to NASA too. "MARK MY WORDS: Prince William will be the GREAT MONARCH. HE IS NOT THE ANTICHRIST. He will appear in the Olympic Stadium within AUGUST 12th, 2012, surely on SUNDAY 12th, in a "miraculous way" (i.e., from a spaceship). This date is JULY 30th in the Julian calendar, the calendar used by Nostradamus in the quatrain X-72. [...] This date of AUGUST 12th, 2012, is also exactly the last day of the 5125 years long count cycle of the haab mayan calendar (civil calendar) [...]"
"When Princess Diana produced Prince Harry, her job as brood mare for the Windsor's was complete, as she said she had produced the heir and the spare. Diana unwittingly had done much more, she had given them 2 boys that they could re-enact their myths, the Osiris (good brother, and Set (bad brother), from ancient Egypt. William good brother, Messianic, flies in a big Golden helicopter saving lives, Harry bad brother, wears black uniform and kills people in his black helicopter. Harry with his flaming red hair is "The Joker" of the two brothers! Holmes dyed his hair red and said he was the Joker. [...] The Olympic research which I have carried out so far, would suggest that this mega ritual will be acted out to bring many of their plans to fruition, and one of those plans is the arrival of a New Messiah. So the world's attention being focused on Aurora, the Goddess who announces the arrival of the Sun God is no accident. 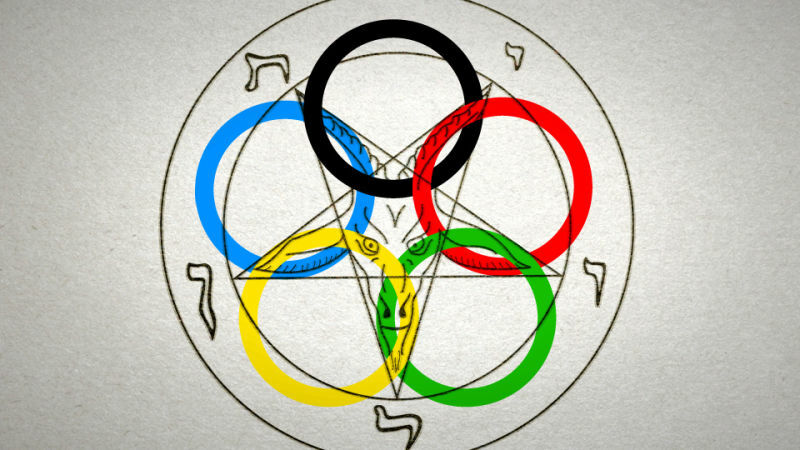 [...] I believe that the primary reason for this ritual, and the Olympics, is so that the cabal can usher in their One World Order. A Golden Age for them, a totalitarian regime for the rest of us." Also, K-Pax is involved somehow? "'K-Pax' was released in theaters in October 2001, just one month after 9/11, it's a BRITISH-American co-production, and it's produced by Iain Softley, who also produced 'Hackers' (1995), a movie which contains many illuminati symbols and a clear reference to the 9/11 false flag (it shows the WTC with written on it 'Burn and Crash'). The whole movie K-Pax is around the date July 27. Prot, the lead character is supposed to end his life on earth on July 27 and come back to his planet K-pax at precisely 5:51...which refers to 11, there is 11 years between 2001 and 2012. There is also other references to the London Olympics in this movie." So there you have it: the Royal Family, the Masons, the Illuminati, and the Elders of Zion are all putting on a Danny Boyle-directed, K-Pax-inspired show to distract us from the coming false flag alien invasion. Based on a card game. And that's why McKayla Maroney fell on her second vault.